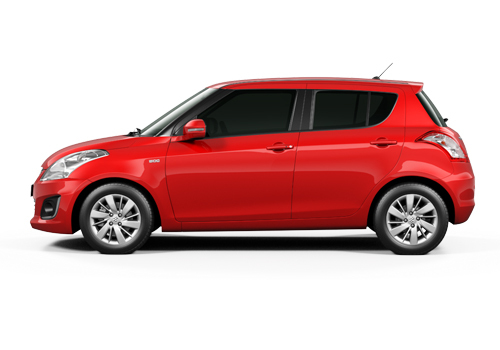 Suzuki has launched a special edition of Swift X-TRA in Germany, this has been taken to attract more buyers towards this small car. Suzuki in known for yielding small cars and Swift is a world renowned model. 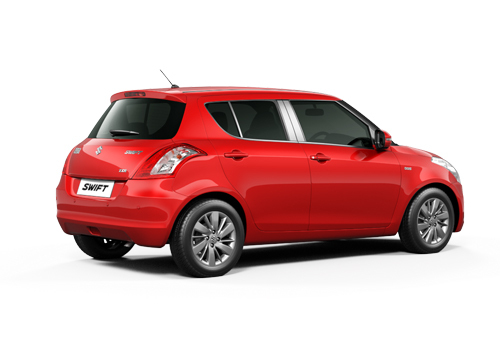 Swift is one the best selling small car, it is extremely popular not only in the domestic market but has gained immense popularity in European car market as well. The special edition launched in Germany now gets a new colour option which is Bison Brown Mettalic colour. The mini wagon has 16 inch alloy wheels affixed on the outside rendering a clean look to the car. Roof spoiler and tinted wheels are some of the other features of this trim. Safety features include seven airbags, which is quite high for a hatchback, air conditioner with pollen filter, MP3 player with USB connectivity and steering mounted controls. This special edition is backed with the same 1.2 litre petrol motor which is available in the usual Swift petrol variant. The German version of Swift produces a tad more power than the Indian version. The German Swift pumps out 94 PS of maximum power while the Indian Swift can only produce 87 PS. This difference in power is probably due to the fuel quality or calibration. Swift X-TRA special edition serves up to 20 kmpl in a litre. Coming to the price part, Swift X-TRA special edition (five door trim) is up for grabs at €14,290 which is Rs 10.27 lakhs in India currency.Let us see if Maruti Suzuki India also mulls to introduce this Bison Brown colour option for the Indian car market.